Monarch Madness: His Last Mistress by Andrea Zuvich Review + GIVEAWAY! This story charts the tragic romance between the dashing but doomed James Scott, Duke of Monmouth and the virtuous Lady Henrietta Wentworth. Monmouth, eldest illegitimate son of King Charles II, is already married and infamous for his womanising ways. Henrietta is engaged to another. Despite the dangers, Henrietta finds she cannot resist him. When his father dies, the malleable Monmouth falls prey to schemes, plots and rebellion that will surely lead to the Tower. I’m wrapping up my Monarch Madness posts this weekend! Today I’m reviewing and posting a GIVEAWAY of Andrea Zuvich’s intoxicating novel, His Last Mistress. You will fall madly in love with this book if you are a fan of The Seventeenth Century, political intrigue, court gossip, romance, and betrayal. His Last Mistress follows the passionate love affair between the Duke of Monmouth, an illegitimate son of King Charles II, and Henrietta Wentworth, a Lady of the court who is doomed to a loveless marriage until she catches the eye of Monmouth. To my knowledge, I had never read anything about this romantic duo until His Last Mistress, and I loved being introduced to characters who are usually left to the peripheral of the historical eye. This Historical Romance/Biographical Fiction elegantly mixes in well researched facts with the author’s captivating storytelling. Fans of general Historical Fiction and die-hard Merry Monarch fans will both be swept up in this tragic tale. I enjoyed the pace of the novel and was wholly entertained by the two main characters. His Last Mistress is full of fist-biting moments both in and out of the bedroom. 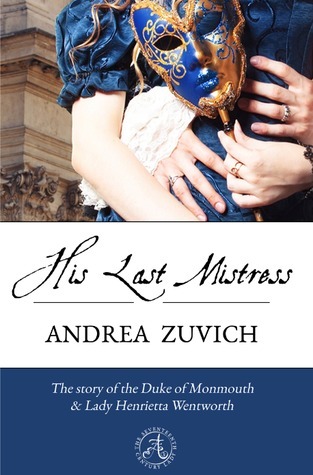 ENTER BELOW TO WIN an EBOOK of His Last Mistress, and stop by Andrea Zuvich’s wonderful website: The Seventeenth Century Lady. Seriously. Her website is a dream for History lovers of this era. I’ m a 17th-Century historian, specialising in the Late Stuart period, with an emphasis on the reign of William and Mary (1689-1702). I live in Windsor, England. I studied at Rockledge High School, from which I received my Diploma, then Brevard Community College where I obtained my Associate’ s Degree in History, and became a member of Phi Theta Kappa honour society. I went on to study at the University of Central Florida, where I obtained two Bachelor’ s degrees – one in Anthropology and one in History. I then continued my education in history online through the University of Oxford, Princeton University, and the Curtis Institute of Music. Since graduating in 2008, I have been independently researching the 17th-century – a time I have always loved and had a keen interest in, and that passion has turned into this website and my work in historical fiction and history articles. 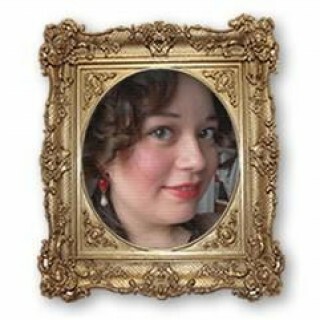 Visit Andrea’s website and get your EBook SIGNED via the Authorgraph on the right side of her page! I am very excited about this contest, thank you so much for the opportunity. Emily recently posted…Vad betyder ombudsarvode?